Church Grounds Coffee, LLC is pleased to announce special fundraising opportunities. We have options available for small and large organizations. Church Grounds Coffee will customize for organizations choosing Church Grounds Coffee product to raise funds. We have some new possibilities to offer and our revised website will reflect this expansion. In 2016, Church Grounds Coffee developed a fundraising program for the Rockford High School Marching Band Boosters in Rockford, MI. We designed customized bags for the band and we can report the coffee fundraiser is a success. 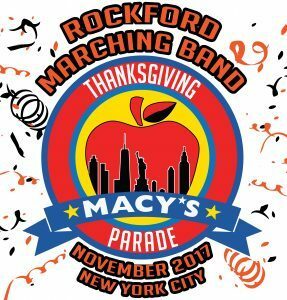 The Rockford High School Marching Band is one of ten high school bands chosen to perform in the 2017 Macy's Thanksgiving Day Parade. Of course, a lot of funds are required for this adventure to ensure the members have the experience of a lifetime. Church Grounds Coffee is very pleased to be playing a part in this endeavor. Congratulations to the Rockford High School Marching Band. We will be happy to supply you with the information you need for a successful fundraising experience.